With the lack of football teams in Swansea during the early 1900’s J.W. 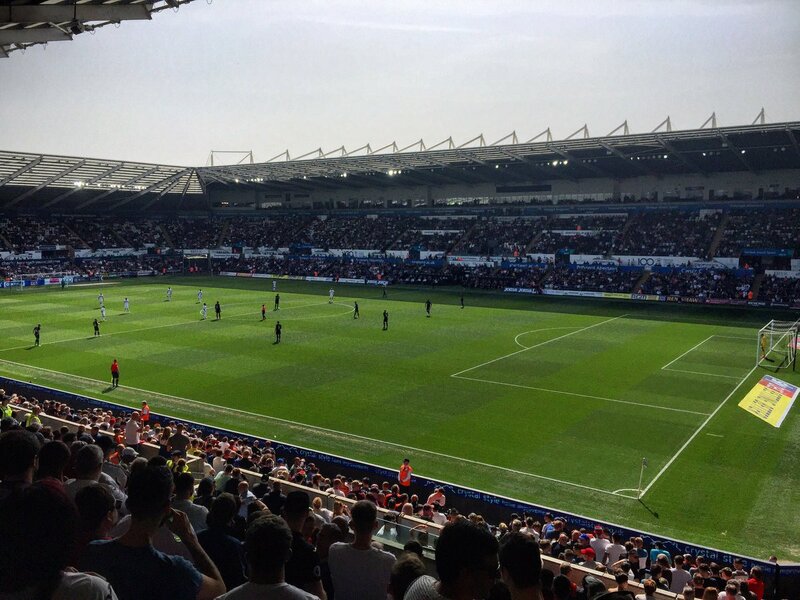 Thorpe had an idea to create Swansea City Football club. The club was officially founded in 1912 and the team joined the league in 1921. The team is based in Swansea, Wales. The Swansea team played in the football league first division in 1981-1983 where they finished fifth. Their next visit to the top of Englisg football will be in 2011/2012, they were promoted to the Premier League after winning the Championship play offs. In doing this they became the first Welsh club to play in this division. Their most memorable wins include winning the Football League Trophy in 1994 & 2006, as well as the Welsh cup in 1913, 32, 50, 61, 66, 81-83, 89, 91. 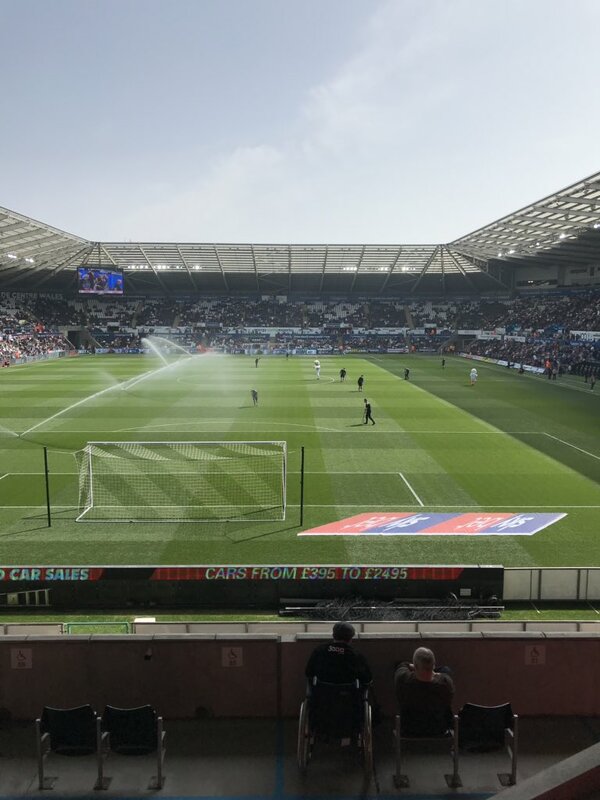 The Premier League in 2016 will be all the better for having Swansea in it, they are sure to bring passion to the pitch as well as a support that is hard to match, certainly in terms of noise! 90'+7' - Thats all. Game finished - Ipswich Town 0, Swansea City 1. 90'+7' - Second Half ended - Ipswich Town 0, Swansea City 1. 90'+6' - Corner - Ipswich Town. Conceded by Cameron Carter-Vickers. 90'+4' - Missed chance. Alan Judge - Ipswich Town - shot with right foot from outside the box is close, but missed to the left. 90'+4' - Luke Chambers - Ipswich Town - won a free kick in defence. 90'+2' - Substitution - Swansea City. 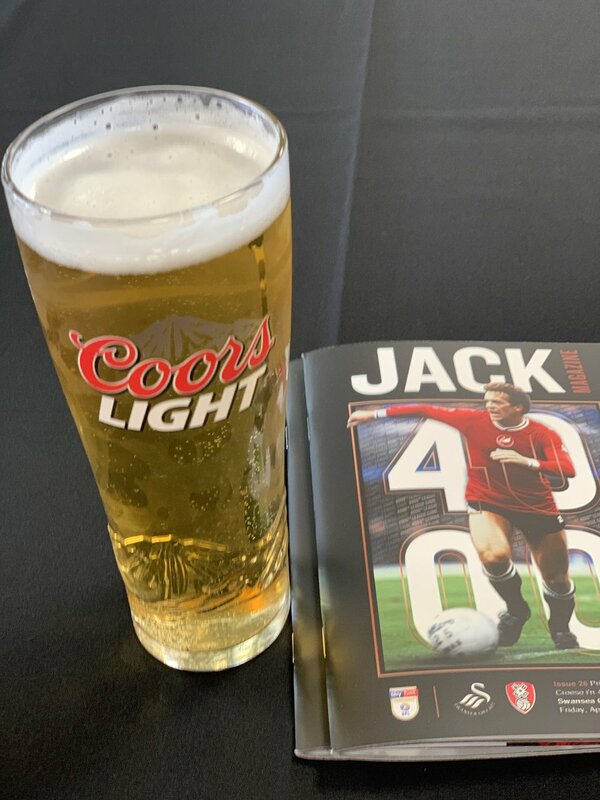 Joe Rodon for Daniel James. 90' - Nathan Dyer - Swansea City - receive yellow card. 90' - Leroy Fer - Swansea City - won a free kick in defence. 88' - Offside - Ipswich Town. Dean Gerken with a pass, however Collin Quaner is in offside. 87' - Flynn Downes - Ipswich Town - won a free kick in defence. 85' - Nathan Dyer - Swansea City - won a free kick in defence. 84' - Substitution - Swansea City. Leroy Fer for Jay Fulton. 83' - Missed chance. Jay Fulton - Swansea City - shot with right foot from the centre of the box missed to the left. Assist - Nathan Dyer. 83' - New attacking attempt. Luke Chambers - Ipswich Town - shot with the head from the centre of the box is saved in the top left corner. Assist - Alan Judge with a cross. 82' - Corner - Ipswich Town. Conceded by Cameron Carter-Vickers. 81' - Connor Roberts - Swansea City - won a free kick in defence. 80' - Offside - Ipswich Town. Luke Chambers with a pass, however Callum Elder is in offside. 80' - Shot blocked. James Bree - Ipswich Town - shot with right foot from outside the box is blocked. 79' - Substitution - Ipswich Town. Teddy Bishop for Trevoh Chalobah. 78' - Delay over. They are ready to continue. 77' - Delay in match Collin Quaner - Ipswich Town - - injury. 76' - New attacking attempt. Collin Quaner - Ipswich Town - shot with right foot from the left side of the box is saved by goalkeeper in the centre of the goal. Assist - Flynn Downes. 75' - Missed chance. Daniel James - Swansea City - shot with right foot from outside the box goes high. Assist - Matt Grimes after corner. 74' - Corner - Swansea City. Conceded by James Bree. 72' - Missed chance. Oliver McBurnie - Swansea City - shot with the head from the centre of the box goes high. Assist - Daniel James with a cross. 71' - Missed chance. Daniel James - Swansea City - shot with right foot from the centre of the box goes high. Assist - Jay Fulton. 70' - Mike van der Hoorn - Swansea City - won a free kick on the right wing. 70' - Substitution - Swansea City. Nathan Dyer for Wayne Routledge. 68' - Missed chance. Matt Grimes - Swansea City - shot with left foot from outside the box is high and wide to the left. Assist - Jay Fulton. 68' - Wayne Routledge - Swansea City - won a free kick in defence. 66' - Substitution - Ipswich Town. Kayden Jackson for Will Keane. 66' - Substitution - Ipswich Town. Collin Quaner for Andre Dozzell. 66' - Shot blocked. Flynn Downes - Ipswich Town - shot with right foot from outside the box is blocked. Assist - Gwion Edwards. 62' - Corner - Swansea City. Conceded by James Bree. 61' - James Bree - Ipswich Town - receive yellow card for a foul. 61' - Daniel James - Swansea City - won a free kick on the left wing. 61' - Matt Grimes - Swansea City - won a free kick in defence. 60' - Delay over. They are ready to continue. 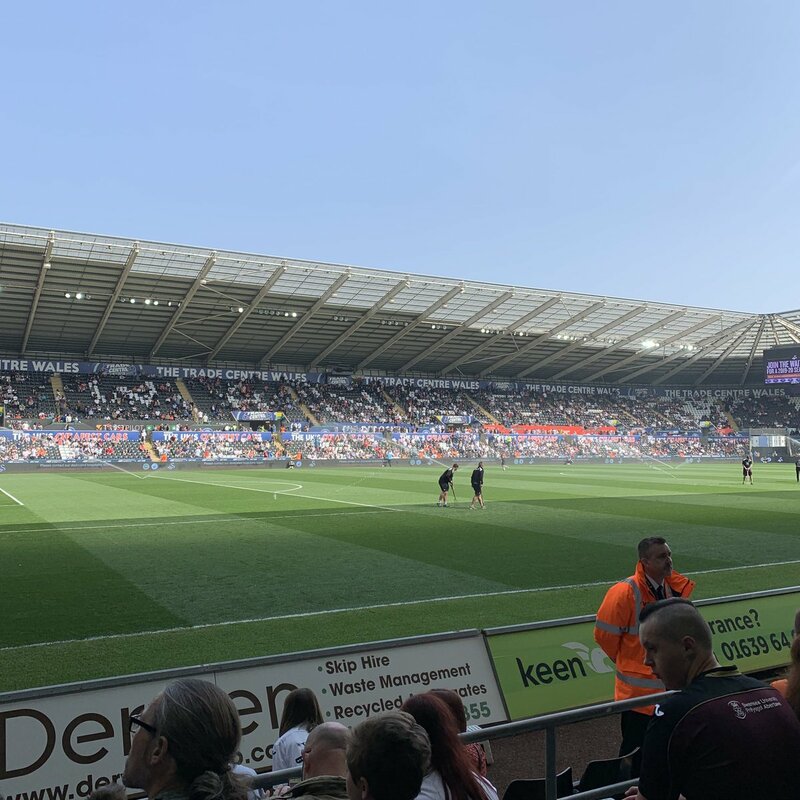 59' - Delay in match Daniel James - Swansea City - - injury. 57' - GOAL!!! Ipswich Town 0, Swansea City 1. Wayne Routledge - Swansea City - shot with right foot from the right side of the six yard box to the top right corner. 57' - New attacking attempt. 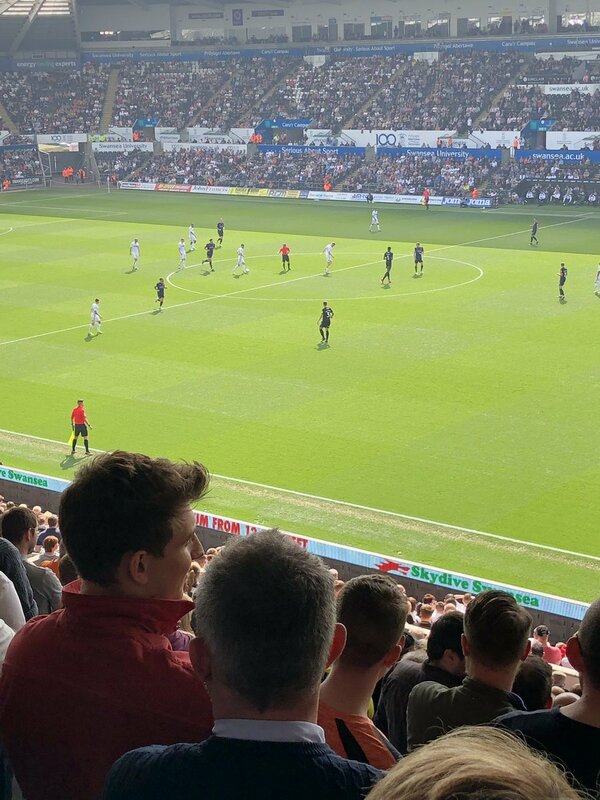 Daniel James - Swansea City - shot with right foot from outside the box is saved in the left corner. Assist - Jay Fulton. 57' - Shot blocked. Oliver McBurnie - Swansea City - shot with right foot from few metres is blocked. Assist - Daniel James with a cross. 55' - Shot blocked. Oliver McBurnie - Swansea City - shot with right foot from outside the box is blocked. Assist - Daniel James. 54' - Corner - Swansea City. Conceded by Dean Gerken. 54' - New attacking attempt. Daniel James - Swansea City - shot with right foot from the left side of the box is saved by goalkeeper in the centre of the goal. Assist - Oliver McBurnie. 52' - Offside - Ipswich Town. Gwion Edwards with a pass, however Will Keane is in offside. 47' - Offside - Ipswich Town. Will Keane with a pass, however Alan Judge is in offside. 45' - Second Half starts Ipswich Town 0, Swansea City 0. 45'+2' - First Half ended - Ipswich Town 0, Swansea City 0. 45'+2' - Andre Dozzell - Ipswich Town - won a free kick in defence. 45'+1' - Missed chance. George Byers - Swansea City - shot with right foot from the centre of the box missed. Assist - Wayne Routledge with a cross. 44' - Missed chance. Aristote Nsiala - Ipswich Town - shot with the head from the right side of the six yard box is very close to the goal. Assist - Alan Judge with a cross after corner. 43' - Corner - Ipswich Town. Conceded by Mike van der Hoorn. 43' - Shot blocked. Flynn Downes - Ipswich Town - shot with right foot from outside the box is blocked. Assist - Trevoh Chalobah. 43' - Gwion Edwards - Ipswich Town - won a free kick in defence. 41' - New attacking attempt. Connor Roberts - Swansea City - shot with left foot from the centre of the box is saved by goalkeeper in the centre of the goal. Assist - Wayne Routledge. 40' - Will Keane - Ipswich Town - won a free kick in attack. 39' - Missed chance. Trevoh Chalobah - Ipswich Town - shot with right foot from the centre of the box is close, but missed after corner. 39' - Will Keane - Ipswich Town - hits the left post with a shot with right foot inside of six yard box - left side after corner. 39' - Missed chance. Gwion Edwards - Ipswich Town - shot with the head from the centre of the box is close, but missed to the left. Assist - Will Keane after corner. 38' - Corner - Ipswich Town. Conceded by Cameron Carter-Vickers. 37' - Corner - Swansea City. Conceded by Trevoh Chalobah. 35' - Shot blocked. Gwion Edwards - Ipswich Town - shot with left foot from the right side of the box is blocked. Assist - Alan Judge. 34' - Offside - Swansea City. Matt Grimes with a pass, however Daniel James is in offside. 33' - Oliver McBurnie - Swansea City - won a free kick in defence. 30' - Missed chance. Wayne Routledge - Swansea City - shot with right foot from the centre of the box is very close to the goal. Assist - Jay Fulton. 30' - Missed chance. Jay Fulton - Swansea City - shot with right foot from the left side of the box missed. Assist - Oliver McBurnie. 29' - Aristote Nsiala - Ipswich Town - receive yellow card for a foul. 29' - Daniel James - Swansea City - won a free kick on the right wing. 28' - Offside - Swansea City. Kyle Naughton with a pass, however Daniel James is in offside. 28' - Jay Fulton - Swansea City - won a free kick in defence. 27' - Offside - Swansea City. Mike van der Hoorn with a pass, however Oliver McBurnie is in offside. 24' - New attacking attempt. Jay Fulton - Swansea City - shot with right foot from outside the box is saved by goalkeeper in the centre of the goal. Assist - Daniel James. 22' - Delay over. They are ready to continue. 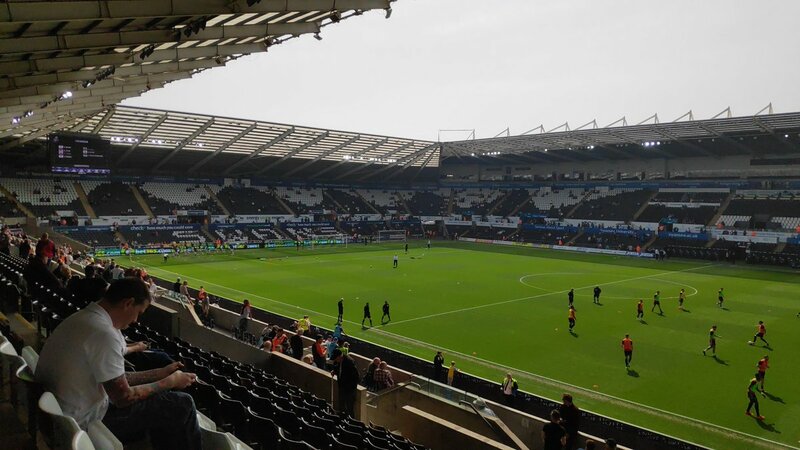 21' - Delay in match Connor Roberts - Swansea City - - injury. 20' - Jay Fulton - Swansea City - receive yellow card for a foul. 20' - Flynn Downes - Ipswich Town - won a free kick in defence. 16' - George Byers - Swansea City - receive yellow card. 16' - George Byers - Swansea City - has gone down, but that's a dive. 15' - Matt Grimes - Swansea City - won a free kick in defence. 13' - Shot blocked. Alan Judge - Ipswich Town - shot with right foot from outside the box is blocked. 12' - Mike van der Hoorn - Swansea City - won a free kick on the right wing. 10' - Oliver McBurnie - Swansea City - won a free kick in attack. 7' - Matt Grimes - Swansea City - won a free kick in defence. 6' - Missed chance. Gwion Edwards - Ipswich Town - shot with right foot from outside the box is high and wide to the left. Assist - Will Keane. 5' - Missed chance. Daniel James - Swansea City - shot with left foot from the centre of the box missed. 3' - Missed chance. Cameron Carter-Vickers - Swansea City - shot with the head from the centre of the box missed to the left. Assist - Matt Grimes with a cross . 3' - Oliver McBurnie - Swansea City - won a free kick on the left wing.